Have you made “read more” one of your goals? Or keep making it a goal year after year without reaching it? Books are such an integral part of how we get inspired and learn. Join in for a “Book Swap” evening, meaning you bring a book you love which will be randomly swapped so you leave with a brand new one. What type of book? It can be fiction or non-fiction, it just needs to either be written by a kickass woman or feature a heroine to inspire more women to greatness. It is guaranteed to be an evening of bookish fun (& wine & connecting with other kickass women), so don’t miss out! Free - Just bring a book! 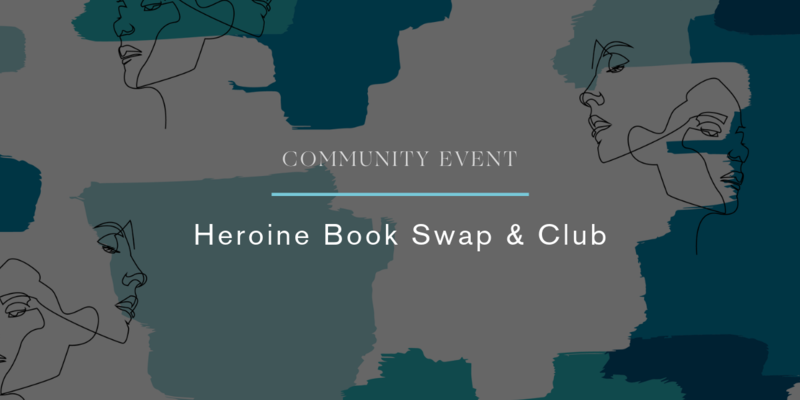 The Heroine Book Swap & Club ticket is sold out. You can try another ticket or another date.